DaklaPack UK is a subsidiary of DaklaPack Europe BV, a .. Check our cool leaflets, general, laminated packaging, medical packaging ..
Mon to Thu order before 20:00, shipped same day. 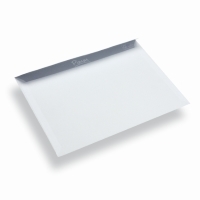 Our exclusive range of Pimm white paper envelopes, available in 80 and 120 gsm paper and both come supplied with a peel and seal closure so no more licking! The paper used is FSC qualified so you are doing the environment a favour too. Available in sizes from A6 to A4. Ideally suited for sending everyday mail such as invoices, quotations, mail outs, Salary papers. From a modest order quantity we can offer a full tailor made service, simply provide us with the artwork to correct dimensions of desired envelope and we will do the rest. We can print edge to edge and also in full colour. Enter in the article of your choice using the name or the article number and click on the order or sample button. Enter your details and choose your delivery and payment preferences. Round off your order by clicking on the 'next' button. Most orders will be delivered in 3 to 4 days. In the checkout you can make a choice of different shipping options. When you choose the extra costs come on top of a neutral or express delivery. Ordered before 12:00, shipped the same day. Delivery time: 1 to 2 days. Blank and neutral sent to your customer (shipping documentation does not mention the name of our company but your name). Place your order before 12 pm and receive your shipment the next day before 11am. After the payment, the order is processed and shipped. After payment, the order is processed and shipped. In some cases, we ask for a (partial) payment.